The History of Blue Note Records from a record collectors perspective, supplemented with commentary regarding audio quality, a topic on which Wiki editors and music journalists alike appear entirely oblivious. As an independent collector with no editor or advertisers to please, I can offer opinion a little more freely, and often do. Blue Note Records was established in 1939 by a German émigré from Berlin, Alfred Lion, and American musician and writer Max Margulis. Originally dedicated to recording traditional jazz and small group swing on 78rpm shellac, from 1947 the label began to switch its attention to modern jazz. In 1951 Blue Note issued their first vinyl 10″ releases and by 1956 the label ventured into the new long-playing 12″ vinyl microgroove record field, with their accompanying sleeve cover art. Photographer Francis Wolff captured the musicians and Reid Miles the graphic design, creating iconic cover art which remains an important part of the interest of collectors. 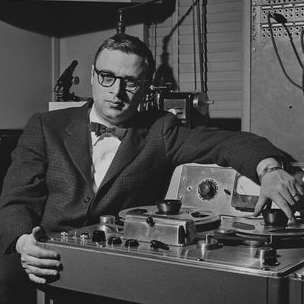 Rudy Van Gelder (RVG) recorded most Blue Note releases from 1953 until the late sixties, and his often-praised engineering skills were as important and revolutionary as the music. His recording methods were always at the leading edge, seeking out the latest models of microphone and stretching them to the limit, in both studio and live settings. Transferring the recording from tape to acetate master with equal skill, it remained only for the Plastylite Corporation N.J. pressing plant to create what we now know to be audiophile gems. All pre-1966 Blue Notes have the Plastylite symbol “P” in the runout. Musically, Blue Note has been associated principally with the “hard bop” style of jazz. It maintained a large roster of artists with styles ranging from bop to soul-jazz, and in its final years dabbled at the edges of emerging free jazz, with over 800 original titles released in the period up to 1966. Between the two of them, Blue Note and its rival, Bob Weinstock’s Prestige Records, account for a huge legacy of modern jazz recordings, and its dwindling stock of original pressings, sought by collectors across the world. Blue Note was sold to the giant Liberty Records in 1966, who maintained a steady flow of new Blue Note releases, including some that had been recorded and prepared for release prior to the sale of Blue Note, making their first pressing on “Division of Liberty” labels. Liberty also reissued many titles from the Blue Note catalogue. Important from the collectors point of view, when Liberty reissued a title, it supplied the pressing plant first with any previous stock of Blue Note labels and covers in its inventory. As a result it is not uncommon to find what appear to be original (pre-1966) Blue Note records in every respect: NY labels or even earlier, and original Blue Note covers, but missing the signature Plastylite “ear” in the vinyl run-out. These, it is believed, were pressed by All Disc Records, Roselle N.J. a plant which Liberty purchased around the same time as the acquisition of Blue Note. 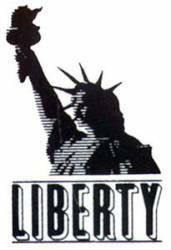 In 1968, Liberty Records was sold to the financial conglomerate Transamerica , who also owned United Artists (with its own music division). “Liberty Records” continued to operate under Transamerica ownership as for a futher two years, until in 1970-1 Transamerica decided to rationalise its Liberty and United Artists holdings, under the United Artists Records banner, with the Blue Note and Liberty Records names retained for marketing purposes. Effectively Blue Note was absorbed into United Artists Records Inc, though not without a struggle between UA and former Liberty management. UA parted company with the classic Blue Note label design and the long-running catalogue numbering, introducing its own West Coast branding. Despite changing design and roster of new artists somewhere between 1971-5, a series of classic titles from the Blue Note catalogue were reissued on the “Division of United Artists, Inc.” label. Re-mastered by in-house UA engineers, they bear no “RVG or Van Gelder” stamp in the run-outand are remarkably fine audio quality. A variety of engineers signatures appear in the run outs, including “Egk” and “NB. The exact date and intended market for these reissues is unclear, as many were in their original mono form, whereas Stereo had by now become the norm. In 1973, the “Divison of United Artists” classic label was replaced by a new UA corporate design, the solid blue label with a black note, under the banner “United Artists Records, Inc., later to become (in 1975) the United Artists Music and Records Group”. Further reissues from the Blue Note catalogue proceeded, pressed with legacy stampers from the original Blue Note days, engraved with the ”VAN GELDER” machine stamp.These stampers in many cases became overused, producing dull recordings lacking dynamic range. However given the primitive audio quality of the popular portable record player of the day, it is unlikely anyone would have noticed. UA’s Blue Note Division also eventually foundered, but not before licensing King Records, Tokyo Japan to reissue the Blue Note historical catalogue for the Japanese market. And also important discoveries of unissued 60’s recordings made in the Blue Note vaults and issued for the first time. To no avail, after a brief failed management buyout (1978-9), Blue Note Records was eventually sold to Capitol-EMI. EMI purchased United Artists Records in 1979, thereby acquiring the Blue Note catalogue, and Blue Note lay largely dormant domestically until 1985, when it was relaunched as part of EMI Manhattan Records. EMI repeated the reissue of the Blue Note catalogue in Japan, initially through King but in 1983 replacing the King with their own subsidiary Toshiba EMI and European operations licensed Pathe Marconi in France to reissue the Blue Note catalogue. In common with much of the industry, the EMI period was marred by industry-wide decreasing quality of vinyl pressing, culminating in the disastrous adoption of DMM (Direct Metal Mastering) technology which, contrary to its theoretical advantages, took great music and transformed it into a wooden lifeless imitation. Some people find these pressings pleasing, which does not explain why the price barely makes two figures.This affected both European releases through EMI France, and the US Capitol Manhattan label. The only exception to this dismal outcome was pressings made in Japan, where the DMM was mostly ignored and King, followed by Toshiba-EMI, reissued recordings which retained much of the glory of their original source. 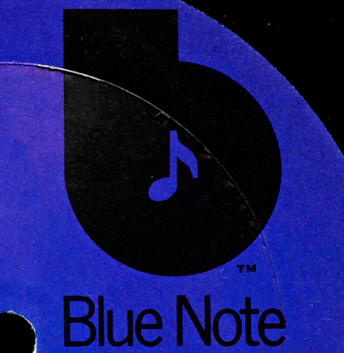 More recently Blue Note became a corporate division, the Blue Note Music Group within EMI. It has stewardship of the brand and historical assets, but has shown little ability to leverage its most precious asset, the original tapes remaining in its vaults. In the Nineties Rudy Van Gelder was brought in to remaster recordings for their release on CD. Despite all the modern technology at their disposal, no-one has thus far been able to recreate on vinyl the extraordinary quality of those original pressings of the Fifties and Sixties, though some niche audiophile producers make claims to have. The corporate history of Blue Note embodies simultaneously the very best and the very worst of America. From an entrepreneurial company with a single-tier management of founders and outstanding product quality, through a thirty year progressive decline in the hands of corporations of accounting-focussed executives with little understanding of audio production technology, matched by institutional investors with even less understanding of what they owned. Many Blue Note albums are considered among the finest in all of jazz recordings. In the awarding of special crowns for the Ninth Edition of the Penguin Guide to Jazz, eight out of 80 total are Blue Notes.In the same guide, out of its 213 recordings given status of “core collection,” 27 are on the Blue Note label. Musically, they consist of small group improvisational jazz, played by young men mainly of Afro-American origin, not a few addicted to heroin and many who died prematurely from drug related problems or poorly controlled medical conditions. They played acoustic instruments with extraordinary ability, scratching a meagre living in a racially divided society. In the face of this adversity, truly great music was performed, and fifty or so years ago superbly recorded by a couple of European immigrants to the US, thanks to whom we can hear this music as fresh as if it was yesterday. Blue Note are among the most collectible records in the jazz genre, desirable as historical artifact ( “the new antiques”), audiophile gems, and sadly as potential financial investments. Auction prices range from $20 for those artists that have not stood the test of time, through to $5,000 for the rarest and most desirable, of which less than a 1,000 copies were ever pressed, with the numbers surviving fifty years in excellent condition fewer still. However these are still relatively small sums compared with the prices commanded by the detritus of punk, rock and pop, where the iron law of scarcity and obscurity dictates prices, and the very idea of audiophile quality is an oxymoron. The Blue Note vinyl collector community is worldwide. In addition to the long-established markets of Europe and Japan, with well-resourced collectors now in the Russian Federation, indeed anywhere with access to eBay and a Paypal account. 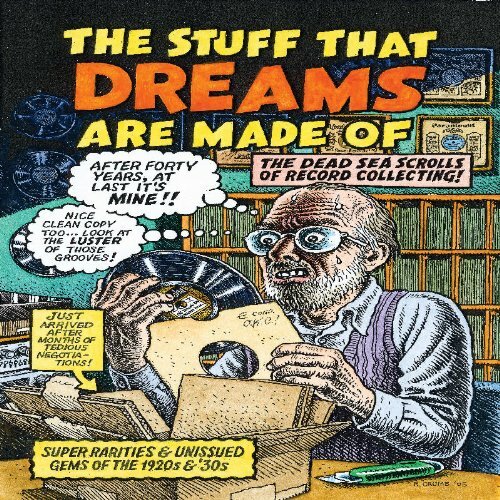 Elite collectors demand pristine condition and compete for the most desirable first pressings, leaving the rest of us to fantasize about the bargain found in a thrift shop and inheritances from ageing relatives, or turn for solace to the evil silver disc. 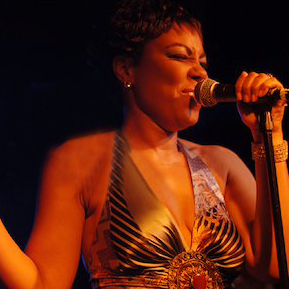 Around two records in eight hundred in the Blue Note catalogue feature or are led by a female singer. Yet concert impresarios routinely associate jazz with a sultry cabaret songstress in an hour-glass frock (And what are you doing after the show, sweetheart?) . That’s show-biz for you. Whatever else it may be, it’s not Jazz. When did “Inc” appear on the label name on record labels? I have a Monk record on which it does not appear. 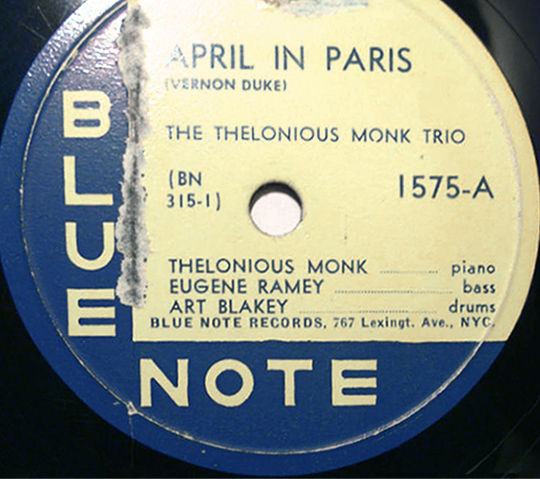 Monk’s two Blue Notes (1510-11) were released in March & August 1956. Does anyone know what the average price for a blue note record was at the time of release in the 60’s? $4.98 (1200-1300 Series) – $42.18 in 2018 dollars. list price was $ 4.98. I bought them directly from Blue Note for $ 3.75.
yes, with that horrible bent up trumpet. each of the artists shown has been a leader on several recording sessions made for Blue Note and resulting for each in more than one album on this label. Moreover they were recorded each as leaders by other labels (Savoy, VeeJay, Jazz:West, Bethlehem, Columbia, Pacific Jazz, Colpix, Limelight, Riverside, U.A., Fontana, RCA (France), Jubilee, Vik, Elektra, Cadet and Atlantic). A certain Buhaina recorded even for at least 14 labels other than Blue Note. hi Freddyb, Hank Mobley, Lee Morgan, Horace Silver, Paul Chambers, Art Blakey. I always have a direct association with the cover of Savoy MG-12091 (Hank Mobley introducing Lee Morgan) when seeing LJC’s front page. Because of Lee’s gold-coloured trumpet?